Contraception, choice, access to reproductive health care – these are terms synonymous with the all-encompassing phrase “women’s issues.” And yet, as President Barack Obama eloquently demonstrated in Tuesday’s presidential debate, “[t]hese are not just women’s issues. These are family issues. These are economic issues.” Access to affordable contraception is key if we wish for women to one day achieve equality in the workplace. Just this September the Guttmacher Institute published the results of a study that asked women to identify their reasons for using contraceptives and results were fascinating: 63 percent of respondents said their birth control allowed them to take better care of themselves or their families. What’s more, a working paper from the National Bureau of Economic Research released earlier this year found that the availability of oral contraception played a principal role in closing the gender wage gap since the 1980s. Being able to plan for children is necessary for women who wish to achieve their goals. But this answer is unrepresentative of Romney’s true views on the issue and provides another example of just how desperate the Governor is to win the election. Aside from taking a stringently anti-choice stance from the beginning of his campaign, Romney has demonstrated that he is against access to contraception time and time again. The Governor has repeatedly said he would repeal Obamacare, once again placing the burden of paying for contraceptives on the shoulders of women. He has been vocal about his desire to defund Planned Parenthood, an organization that serves as the only source of reproductive health care for many low-income women. He has even gone as far to voice his support for the Blunt Amendment, which would allow employers to deny contraception to their female employees based on religious objections. These are not the actions are someone supportive of contraception accessibility. 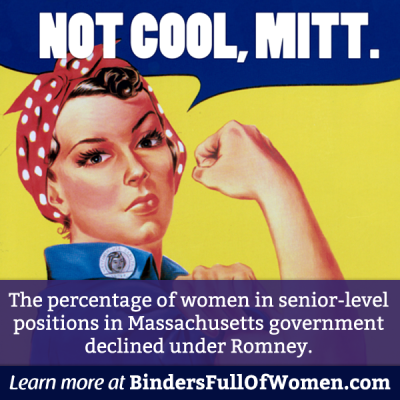 With this information, it’s not shocking to learn that Romney did not support the Lilly Ledbetter Fair Pay Act — he doesn’t seem to understand equality in the workplace is still unachievable for many women. The President, on the other hand, does. 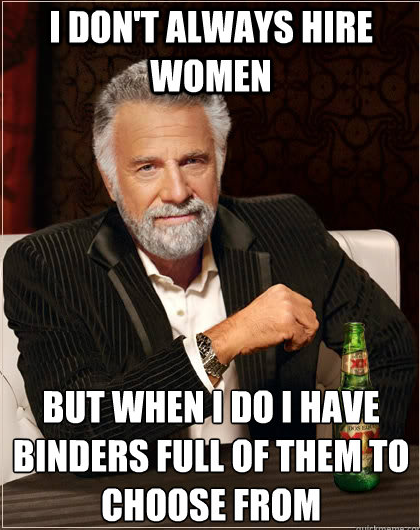 Between passing his landmark health care bill to signing the Lilly Ledbetter Act to ensuring that all women have access to affordable contraception, Obama understands that women’s issues are economic issues — even without “binders” of women.